A new webcast – titled “Saving Energy in Cotton Gins” – has been added to the Focus on Cotton online series from the Plant Management Network and Cotton Incorporated. Energy costs represent 20% of the total cost of ginning and vary widely across facilities. Identifying best practices for reducing energy consumption is important to gin owners, managers, and operators. Fuel consumption represents 6-8.5% of the total cost of ginning. Usage can be reduced by insulating the hottest ducts, minimizing the distance between burners and cotton pickup points, and adding automatic controls with temperature sensing in recommended locations. The Focus on Cotton series contains more than 75 webcasts on various aspects of cotton crop management, including agronomic practices, crop protection, harvest and ginning, soil health and fertility and precision agriculture. The presentations are accessible online at any time without a subscription. 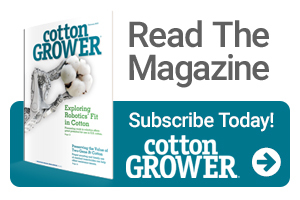 The resource also provides access to Cotton Cultivated, a new resource from Cotton Incorporated to help users quickly find the most current cotton production information available.